Ever confused about which way to go? I went on my own mini-adventure this week. 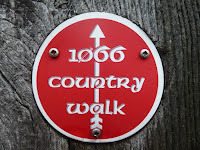 I ran from Rye to Bexhill via the 1066 Country Walk, attempting to follow those precious little Red and White circles. First lesson: follow those precious little Red and White circles. I’m such a twit, it literally took me 45 minutes and nearly 3 miles running around in circles (not little red and white ones) before I found the first sign. Lesson number two: deception is very deceiving. 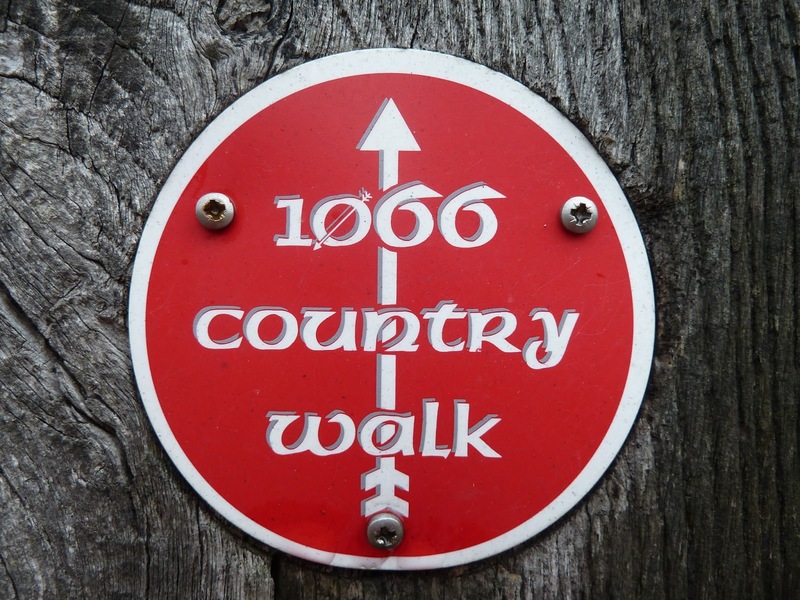 Don’t be deceived into thinking that all footpaths lead to the 1066 Country Walk. Nope. (more running around in circles in muddy fields). Never follow anything other than a precious little Red and White circle. If I sound frustrated, I really wasn’t – part of the fun and the reason I went on my own was to work it out by myself, see if I had it in me to find my way and go the distance. It almost goes without saying, but I had an amazing day, recapturing some of that “childlike pursuit of each and every sign”, with hapless abandon. Pure joy on a beautiful day in the Sussex countryside. I love signs. I have my own precious little signs that I carry around with me to remind me to keep on the right path in my own life. They change sometimes, but at the moment, these are my signs, the little tangible symbols that remind me of who I am and why I’m doing what I’m doing. As you can see from my poor navigation skills above, I’m sometimes not very good at finding or remembering to follow the signs. I get lost. I get confused. But I reckon the wildest thing we can do is be childlike and go for it and pursue each and every sign. Now THAT’s a proper adventure.